Home » Auto » Cool Car » Coupe » Electric Car » electric vehicle » New Car » Peugeot » Peugeot e-Legend » Retro » Peugeot e-Legend: Cool Retro Electric Coupe Car! Peugeot e-Legend: Cool Retro Electric Coupe Car! Do you still remember Nissan IDx? Yep, the car that was once called the Datsun 510 Reborn itself indeed comes with a modern retro form that is very catchy and pleasing to the eye. Well, after a few years no similar cars were presented, besides the figure of Honda urban EV, now a modern retro concept car reappears. But it's no longer from the Japanese brand, but from the French Brand, Peugeot, and this is the figure of the Peugeot e-Legend, just check it out. If seen - see, this Peugeot e-Legend has a shape similar to one of the legendary Peugeot coupes, the Peugeot 504 Coupe which was present about 5 decades ago. 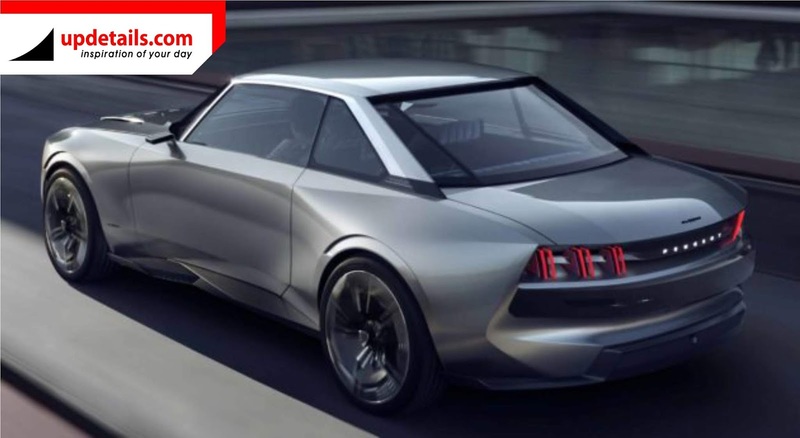 The Peugeot e-Legend itself is an electric two-door coupe that will be first revealed to its original form at the Paris Motor Show 2018 next month. By design, there is nothing we can say other than 'cute'. Yep, this car does come with a design that combines a retro nostalgic and modern futuristic concept. The headlights are divided into two blades, once again resembling the Peugeot 504. While the grille looks just three thin silver blades with attractive emblems. Yep, this emblem is interesting not because it looks like a Proton emblem, but because this emblem is a 1960s Peugeot emblem, really nostalgic right? Still on the front side, the front bumper is silver, in accordance with the body color, with a thin lip spoiler that is quite sporty. 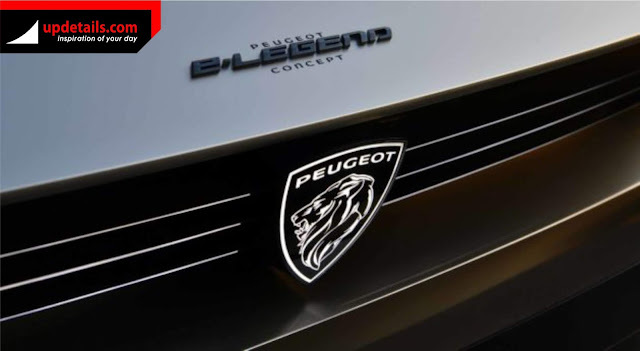 The hood of the Peugeot e-Legend also looks muscular, like a large engine muscle car, even though this car is the driving source of electricity. Moving aside, the fender of this car is no less interesting, because it has an inward bend that is somewhat out of the box if we talk about fender design issues. This car also has a side step on the side even though a sedan, and the shape is no less attractive. Still from the side, there are no conventional mirrors on the e-Legend Peugeot, and replaced by cameras on both sides. While the window line and the shape of the roof are made to compose and resemble its predecessor. Wheels? Of course the size is close to fenders, thin profile tires and futuristic design, typical of concept cars. Then what about the shape of the back? Maybe this part is not as beautiful as the front side, but pulls the line on the back side which is rather curvy combined with black and typical Peugeot lights today to make a right mix. The rear windshield was also made sloping and a little messy to adjust to the retro concept. While the rear bumper is also still in line with the front side, looks firm and also has a sporty spoiler. As we said, for design, we are speechless. Entering the interior, this car is still a concept car, with the shape of a 'space shuttle' steering wheel and a cockpit that is fully digital and very very minimalist. In fact, the passenger seat and driver of Peugeot e-Legend looks very comfortable with turquoise velvet wrapping. Okay, enough for visible business, what technology is brought by the e-Legend Peugeot? So, as we alluded to, Peugeot e-Legend is an electric car. And like an electric car, this Peugeot coupe relies on an electric motorbike, not just one but two. The maximum combined power of these two electric motors reaches 456 hp with a torque of 800 Nm. As a result, acceleration 0 to 100 km / h is only taken in 4 seconds, even less and for maximum speed there is 220 km / hour. Then, how does the battery last? Because Peugeot e-Legend is an electric car. So, the battery from Peugeot e-Legend has a capacity of 100kWh with mileage coverage reaching 600 km with the strict WLTP testing method. 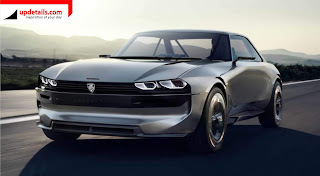 Interestingly, the Peugeot e-Legend has fast charging technology, or in fact we think it's super fast charging because it can charge for a distance of 500 km in just 25 minutes, crazy. In addition, Peugeot e-Legend has also been equipped with four level autonomous features with several autonomous driving modes such as soft, and sharp. It is interesting to wait for whether the figure of Peugeot e-Legend will become a variant that is sold for real later. Even though it is an ordinary engine, it seems that this car will become a collection of automotive fans. What do you think? 0 Response to "Peugeot e-Legend: Cool Retro Electric Coupe Car!"